We now have a go fund me account where you can donate to help the homeless. Any help is appreciated! So far, we have raised $350! You can donate at gofundme.com/redbagproject. We are having our spring bake sale at the end of this month. We are really excited and we have already started finding cupcake recipes! Our goal is to make $300 at this bake sale. 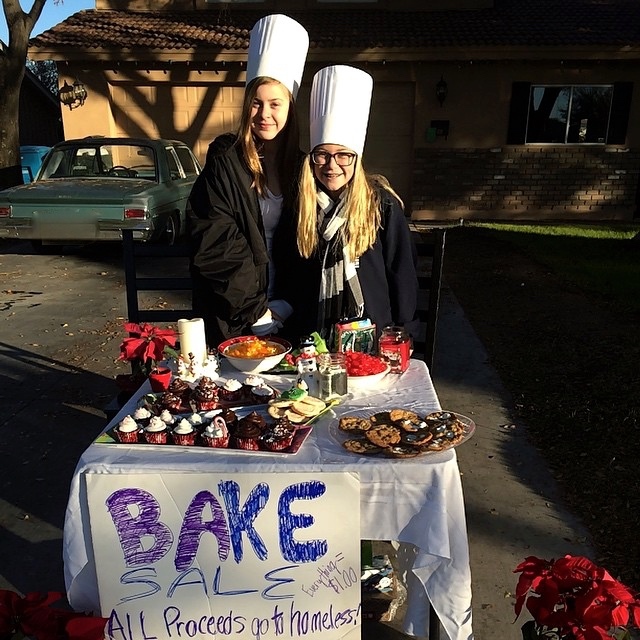 This is the picture from the bake sale last year!